Howdy gang! Newsflash: swimsuit season is just around the corner. Well, not quite, but judging by how fast time flies, it'll be here before we know it, right? And perhaps like me, you've done a wee bit of overindulging throughout the holiday season. (Oh those yummy Xmas cookies get me every time!) Check out this fab program and read below! I'm going to be participating. Hope to see you there! Filled with humor and “I can relate” life experiences, Faithful, Fit, and Fabulous is the ideal 8-week life boost that will refresh any woman's life. Create a personal and effective life plan, and learn how to readily apply it in your busy daily life. Establish holy habits, feel fit and fabulous, and get organized. Just one goal a week for eight weeks—it's simple and fun. This is the moment. This is the year. You can be your best self, your most beautiful self, your most faithful, fit, and fabulous self. Ever. Twelve months are before you-what will you do with them? Years ago, after bearing several children and feeling overwhelmed, I created and lived my “Year of the Change.” During twelve months of taking life by the horns, I lost weight, got organized, and discovered more joy. Since then I’ve tweaked and taught the principles I have learned and now share them with you. So make this your year of fabulous change by joining us on the “8-week Challenge” starting on January 8th! The 8-week Challenge is an online success program of “8 goals in 8 weeks in 8 areas of your life,” including fit and fabulous, get organized, balance womanhood and motherhood, and more. Using the Faithful, Fit and Fabulous book, each week you set and achieve a goal, with help from my podcasts, video segments, blog posts, and motivational emails! Simple, fun, and productive. This program works (see testimonials below). And this year, we’re giving our new 2013 Fit &Fabulous podcast series FREE to those who sign up with a friend! Both of you receive weekly podcasts and posts on weight loss/energy gain tips and strategies. 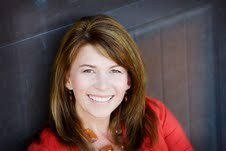 Jill Holmes, our online marketing director, has lost and kept off 50 POUNDS! She'll share her personal tips and secrets to make weight loss work for you, even eating chocolate daily. So join us now and jumpstart your ideal life. Get that closet organized, start that exercise program going, find that joy in daily living! Join now and, because you’re reading this blog post, receive your 8-week Challenge for only $29, thru Jan. 8th only! 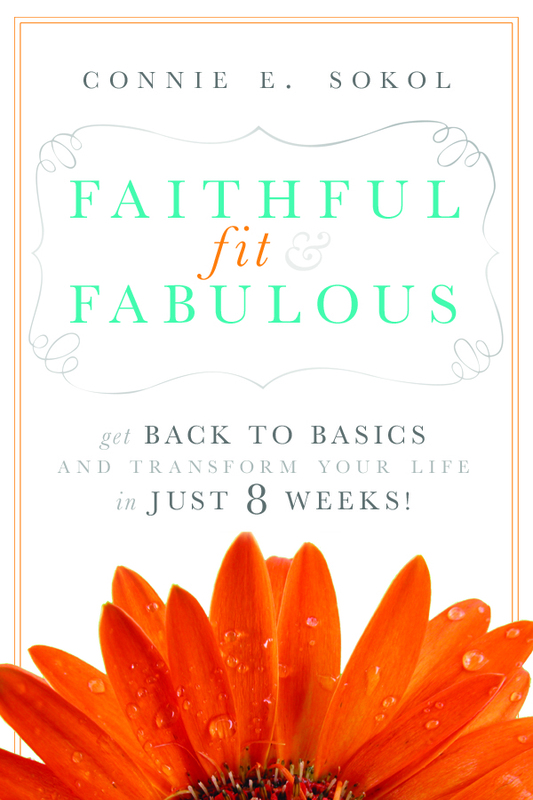 Sign up a friend and BOTH receive the 8 podcast series of “Fit & Fabulous”. Email us for more information at connie@8basics.com. So what are you waiting for? Join us for a fun and fabulous life-changing experience!